Lauren Scharhag: Various and sundry things-- and a book giveaway! It's October-- my favorite time of year. Some of you may know from previous years I try to do something special for the upcoming Halloween and Day of the Dead celebrations. In the meantime, Coyote and I both are happy to announce a giveaway. 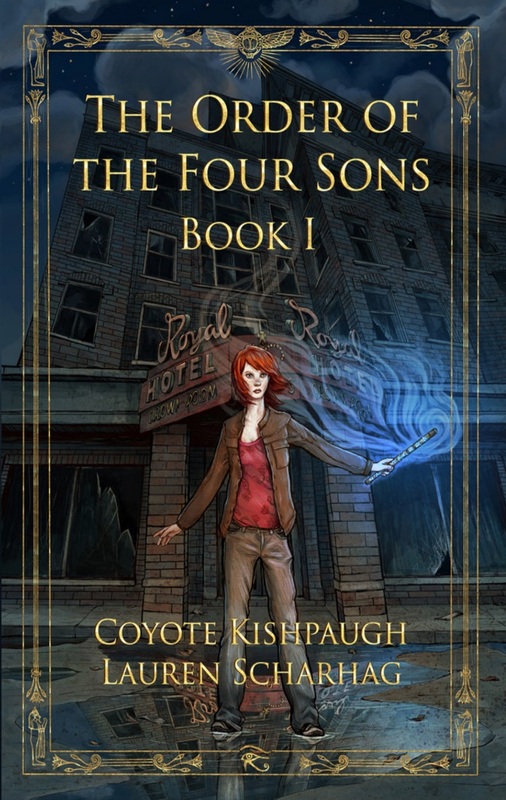 We're offering a free, autographed-by-both-of-us copy of The Order of the Four Sons, Book I for some lucky winner. The raffle starts today and will end on Nov. 2. To enter, scroll to the bottom of this post. You'll be asked to Tweet or Facebook me. Now, for the Various and Sundry. Book I was originally self-published and was re-released through Kensington Gore Publishing on Sept. 25. Coyote and I have been doing (and will continue doing) a lot of promotions for the book. The Monster Mash - a guest article I wrote for Steven Ramirez's site. Home Sweet Universe - a guest article I wrote for Mike Eidson's site, The Troll Mystic. Coyote has written an article on RPG and storytelling for that site as well-- coming soon. 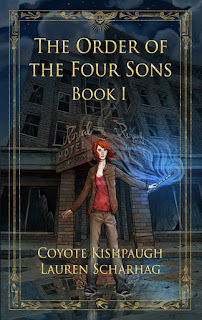 Carcosa, (Book II of the O4S series) is tentatively scheduled to re-release in December, so get those Christmas stockings ready for more guns, more monsters and more magic! Before you go, don't forget to sign up to win that free, autographed copy of Book I! Good luck and likkle more, everybody. I'm off to Jamaica!